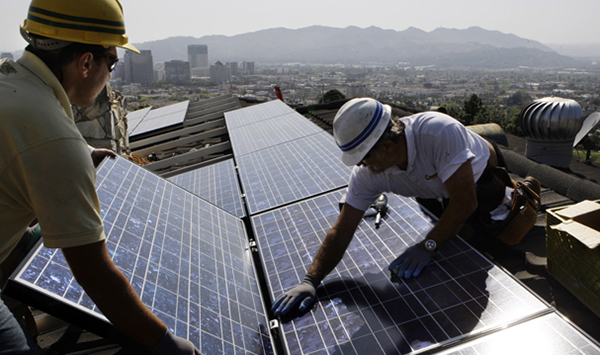 On April 8, 2009, the Los Angeles City Council unanimously passed an ordinance establishing a Green Retrofit and Workforce Program. The Ordinance calls for green retrofits to more than 1,000 city buildings and a workforce development policy that creates career pathways into good, green, safe jobs, targeting those in low‐income neighborhoods. This report is a result of research conducted under the UCLA Community Scholars Program. It explores ways to effectively implement the Ordinance to enhance the environment, support community economic development and promote the health and wellbeing of workers and building users.